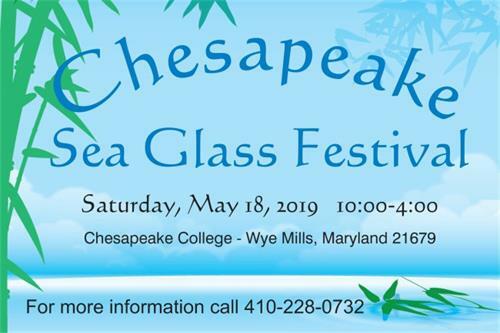 the Chesapeake Sea Glass Festival at Chesapeake College in Wye Mills, Maryland on May 18, 2019 from 10-4. We will have over 30 Sea Glass Artists there showing their finds. We will have lectures and shard identification experts so bring your treasures! Come and join us for shopping, education, food and fun! Admission $2.00 kids under 12 free. See you there! Admission $2.00 kids under 12 free.